The CIRI Foundation strives to support continued living traditions through selected heritage publications and media productions that enhance the appreciation and understanding of Alaska Native Cultures among all people. Proceeds from the sale of books helps to support the programs and mission of The CIRI Foundation. Visit The CIRI Foundation office in person or call (907) 793-3575. For mail orders, download and fill out the publication order form (below). Fax to (907) 793-3585, email to tcf@thecirifoundation.org, or mail to The CIRI Foundation. We will ship books via Priority Mail for an additional charge of $7.20, please contact us for rates if purchasing more than one item. Also, please note that additional shipping charges will be added to non-US destinations. 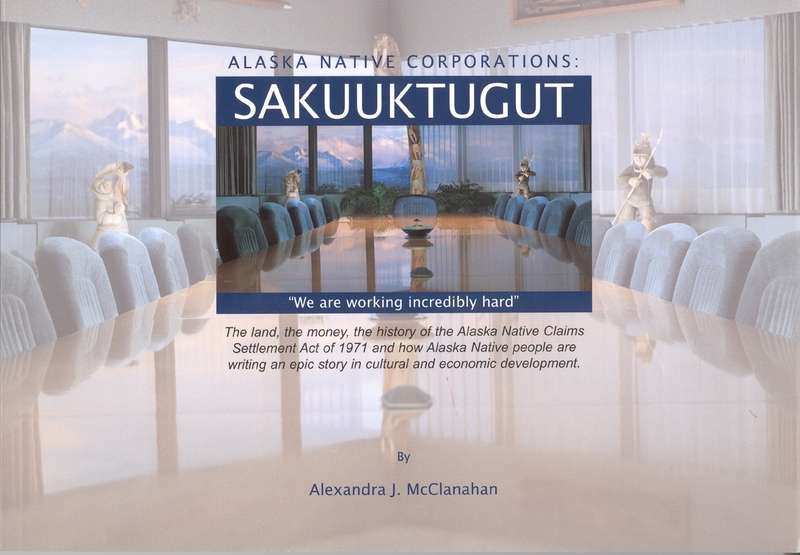 This publication puts perspective on Alaska Native Corporations, unique enterprises creating their own form of capitalism as a result of the Alaska Native Claims Settlement Act of 1971, in the context of Alaska’s history and economic and social issues. The book documents how Alaska Native people are writing an epic story in cultural and economic development, and it focuses on their intimate tie to the land. It explains why Native leaders and corporation shareholders struggle daily with the tension between focusing on bottom-line success and honoring traditional values and preserving cultures. “Sakuuktugut,” pronounced suh-KOOK-to-ghut, is an Inupiaq word which means “we are working incredibly hard.” Published and funded by The CIRI Foundation. 200 pages. Photographs included. 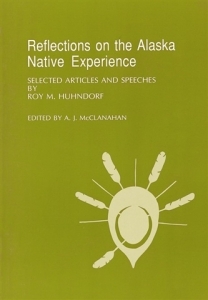 Contains 21 selections from a series of articles that appeared in The Anchorage Times during the period of 1981 through 1984 that were written by Roy M. Huhndorf. Topics include self-reliance, education, Native corporations, health, subsistence, a 10-year and 20-year assessment of the implementation of the Alaska Native Claims Settlement Act of 1971 and other topics about Alaska Native affairs. A.J. McClanahan, editor. 1991. Published and funded by The CIRI Foundation. 61 pages. 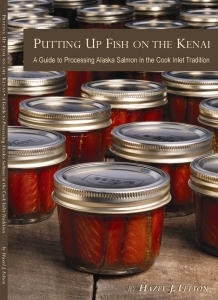 A “how-to” manual for smoking and jarring one of Alaska’s most prized resources. It is also a tribute to Rika Florence Murphy, first recognized chief of the Kenaitze Indian Tribe, who lovingly passed on her precise methods to her daughter and author Hazel J. Felton. In addition to its step-by-step instructions, the book includes detailed design plans for the construction of an “urban smokehouse,” providing city dwellers with a means to recreate these traditional techniques of processing salmon. The book, seven inches by 10 inches contains many photos to illustrate the process, as well as historic and contemporary pictures, including a 10-page section of color photographs. 96 pages. 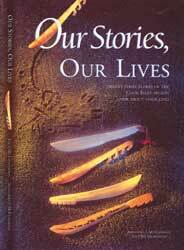 A collection of personal experiences and traditional stories told by 23 Alaska Native elders of the Cook Inlet Region in southcentral Alaska. These are firsthand accounts by elders who witnessed dramatic cultural changes in Alaska during the period of 1900-1985. Interviews were conducted and transcribed by A.J. McClanahan, an Alaskan journalist. Reprinted 2002. Published by The CIRI Foundation. Funded by grants from Alascom, Inc., Alaska Humanities Forum, and The CIRI Foundation. 243 pages. Photographs included. The book, by CIRI Historian Alexandra J. McClanahan and CIRI intern Hallie Bissett, is aimed at being the most up-to-date and comprehensive listing available of Alaska Native entities. Addresses and phone numbers will be included for the 13 Native regional corporations, 173 village corporations, 231 traditional/IRA councils, four urban corporations, six former reserves and Alaska’s only reservation, Metlakatla, are included. Also listed will be the 13 major regional non-profits and the 13 members of the Alaska Native Education Consortium. Just five inches by seven inches and 128 pages, the book is designed to be easily transported. Reprinted 2008. Published by The CIRI Foundation. 128 pages. 3rd Edition, Revised. 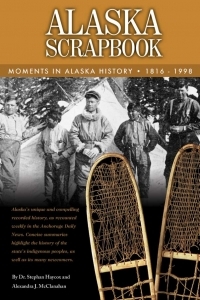 Alaska’s unique and compelling recorded history is featured in a new book that gathers 120 articles and historic photographs published in the Anchorage Daily News in a weekly feature since 2001. The book includes brief articles covering a span of key events and poignant moments from 1816 to 1998. They highlight the history of the state’s indigenous peoples, as well as its many newcomers. In addition to people, the features celebrate the construction of important landmarks, passage of key legislation, and the anniversary of the founding of communities, corporations and organizations. They also offer insight into the devastation caused by fires, floods, and deaths of important leaders. The articles are written by Dr. Stephen Haycox, University of Alaska history professor, and Alexandra J. McClanahan, M.A. CIRI Historian. 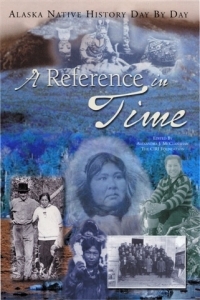 The book also has an introduction, which glimpses history through the eyes of a young Alaska Native, Veldee Hall, who assisted in the editing and development of the book. A reference to support the history of Alaska Native people. With at least one event for every single day of the year, A Reference in Time provides a representative sample of key events in the history of Alaska’s indigenous peoples. The aim is not to tell the whole story, but to celebrate events to spark the interest of readers. Included are historical photos, as well as 12 photos to introduce each month of the year from one Athabascan family, the children of Charles and Florence Knox. A.J. McClanahan, editor. 2001. Published and funded by The CIRI Foundation. 351 pages. 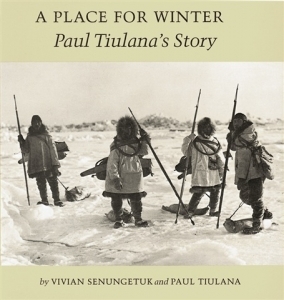 The autobiography of Mr. Tiulana told against the backdrop of his early home on King Island, located 35 miles of the coast off northwestern Alaska in the Bering Sea. He describes his Inupiat culture of a hunter and fisherman and the traditions of his people. He relates his views on a variety of subjects: The struggle to recover from a military-related accident, the Arctic, child-rearing, relationships, religion, war, handicaps, education, and modern times. Written by Vivian Senungetuk as told by Paul Tiulana. 1989. Published by The CIRI Foundation. 125 pages. 40 photographs included. Funded by grants from Alascom, Inc., Alaska Humanities Forum, and The CIRI Foundation. 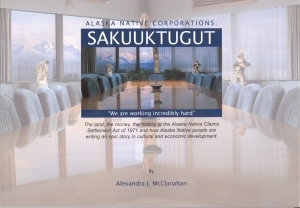 A collection of personal reflections by 27 Alaska Native young professional men and women. They reflect on what it means to be an Alaska Native and the impact of the Alaska Native Claims Settlement Act of 1971 on their lives. The publication is based on a series of interviews that were conducted by A.J. McClanahan, Historian of Cook Inlet Region, Inc., in 1998-99. 2000. Published by The CIRI Foundation. Funded by contributions from Cook Inlet Region, Inc., Alaska Federation of Natives, and The CIRI Foundation. 389 pages. Photographs included.